Posted on 09/25/2018 by Mickey McCarter	in Live Review and tagged Austin, blues, City Winery, Marcia Ball, piano, Texas. 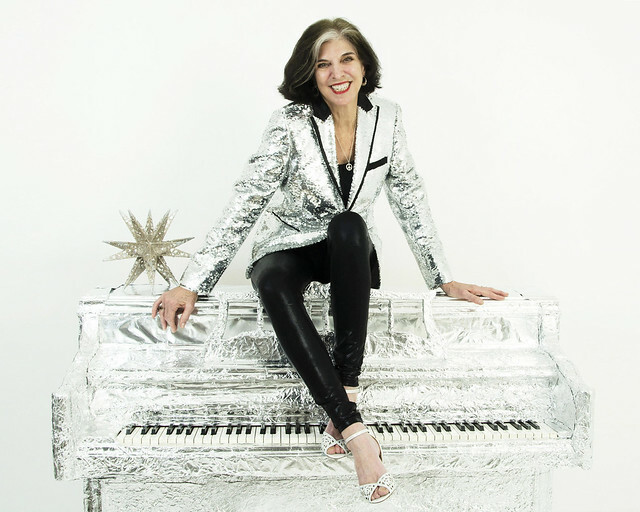 Blues singer and pianist Marcia Ball released Shine Bright, her latest album, via Alligator Records this year, and she’s performing at City Winery DC on Monday, Oct. 1. With her new record, Marcia set out to “make the best Marcia Ball record I could make,” she said. Produced by Steve Berlin (Los Lobos) and recorded in Texas and Louisiana, Shine Bright contains 12 songs (including nine originals), ranging from the title track’s rousing appeal for acts of courage to the upbeat call to action of “Pots and Pans,” a song inspired by Texas humorist Molly Ivins. From the humorous advice of “Life of the Party” to the optimism of “World Full of Love,” Marcia’s convictions never waver. “It is a ridiculously hopeful, cheerful record,” Marcia herself said. In a review for PopMatters, Steve Horowitz expressed excitement for Marcia’s exuberance and optimism.